Tucked away in a by lane of bangur, this vibrant cafe took me by surprise. Once I entered, I instantly fell in love with their bright, colorful and quirky decor. 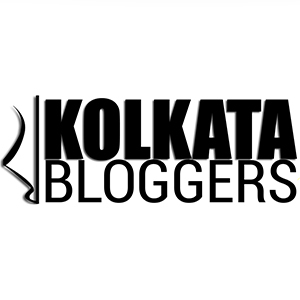 I was invited for a Food Bloggers Meet with a group of foodies, for an afternoon of food tasting by to the owner Arijit Saha and his associate Nabendu Saha. They were lovely hosts, and their friendliness was contagious. The food selections for the evening were stupendous. We returned with an overly full stomach, but thoroughly satisfied. Quirky, intriguing, fantastic are a few of the adjectives to describe this colorful cafe. The moment i walked in, I realized that this was no ordinary restaurant. The name foodpath which is a play on the word footpath takes inspiration from the streets of Kolkata and a Bengali’s innate desire for food. Kolkata is one place where every street corner is filled with numerous roadside vendors selling a myriad of food items. They have emulated this very concept, and I must say they have done full justice. From interiors to menu, to utensils they have taken care of every detail. Firstly this place has two zones, smoking (outdoors) and non-smoking (indoors). Both the zones are very distinctly decorated. The smoking section has a beautifully adorned wall and some colorful but minimalistic furniture. On the other hand the non-smoking section is elaborately done. It is meant to give the feel of a footpath and their interiors justify the concept. Bright walls filled with graffiti, walking zone emulating a pitched road with manholes, tables adorned with street lights, the décor was simply spectacular. Its worthy of mention, that we were flabbergasted to see the prices. Everything was very cheap but of great quantity and quality. The presentation was impressive. We started off with the mocktails. Their mocktails need a special mention, because they were all exquisite. First the Blue Berry Blast, Mango Mastani, Gondhoraj Iced Tea, and Brownie Cookie Shake arrived. All the drinks were presented in quirky looking jars that complimented the ‘Foothpath’ concept. Blue berry blast, which was primarily a thicker version of blue berry milk shake, was delicious. It had lots of cream and blueberry. This sweet drink had a subtle flavor. Mango Mastani , a version of mango shake, was one of the best mocktails I have had in a long time. It was thick and slightly pulpy. The mango flavor was strong. It won my heart. Gondhoraj Iced Tea, is the quintessential summer drink. The refreshing smell and tangy taste of Gondhoraj Iced Tea ‘s main ingredient ‘Gondhoraj Lebu’ or the ‘Aromatic Lime of Bengal’, won us over. This drink was light and subtle but superbly delicious. Brownie Cookie Shake was a mild chocolate- cookie flavored drink with brownie topping. This was nice, but I’m not too fond of cookies, so it didn’t bowl me over like the other drinks. Then came the Mango Lassi, Green Apple Lassi, Aam Pora iced tea and Iced Mochachillo. Lassi is a sweet or savory Indian drink made from a yogurt or buttermilk base with water. The Mango Lassi and Green Apple Lassi were both extremely delectable. The presentation in simple ‘mati r bhar’ (bengal’s clay pots) was very alluring. Since Bengal’s foodpaths are filled with small tea vendors selling ‘hot tea’ in ‘mati r bhar’ , the concept of using ‘mati r bhar’ for the drinks were very apt. Mango lassi was the best drink of the afternoon and once I took the first sip I was transported to another world. It’s rich, creamy taste engulfed me. Green Apple Lassi also had a very distinctive but slightly milder flavor that Mango Lassi. It too was very palatable. The Iced Mocchachilo was rich in coffee and cream. This drink was many times better than a lot of Mocchachilos I have had in the city. The Aam Pora Iced Tea made primarily of burnt raw mango, tasted good. While we were still savoring our first set of drinks, the food arrived. First the Corn Cheese Balls, Zesty Lemon Chili Paneer, Salt and Pepper Fish, Drums of Heaven arrived. The dish Corn Cheese Balls consisted of 6 deep fried ball of an amalgam of corn and cheese. It came with two dips, masala & mayo and some cooked veggies. Its crunchy outer coating with a soft interior made it totally delicious. Zesty Lemon Chili Paneer was soft, tangy and had a gondhoraj flavor. It is primarily cottage cheese cooked in healthy portions of bell pepper, onions, herbs and sauces. This was delectable. In the Salt and Pepper Fish, the fish was fresh and soft. It was chunks of fish cooked in good portions of bell pepper and onions with a strong pepper flavor. This was also very palatable. Drums of Heaven consisted on four pieces of chicken wings. This had a little too much masala, so I didn’t like it much. After this, Fish and Chips, Bombay Keema Paw, Delhi style paw bhaji , Mushroom Maggie, Hawaiian Chicken Salad arrived. Fish and Chips came with four rectangular pieces of deep fried fish and some french fries. It was slightly oily but tasted delicious. The portion of fish was generous. The Bombay Keema Paw was mind blowing. This was mainly keema paw bhaji. It had loads of masala, and tasted delicious. Delhi style paw bhaji was simple paw bhaji, which was dripping in oil, but tasted good. For both the paw bhajis, the bread was soft, and came with a generous helping of butter and cheese. Mushroom Maggie, was delicious and came with lots of mushroom. Hawaiian Chicken Salad was totally and completely mind blowing. It was so delicious that it left me asking for more. The combination of egg, pineapples, and salad was just stupendous. Since I’m very fond of pineapple, the salad seemed to be exceptionally palatable to me. Then the numerous varieties of pasta arrived. First the Lasagna came. Lasagna is Italian dish consisting of flat pasta baked with meat or vegetables and a cheese sauce. This was very palatable. The cheese melted in my mouth and the subtle flavors engulfed me. We engorged the lasagna swiftly. Then the Penne Italiano(Pasta) came. This was a red pasta preparation with Pene and veggies. It was delicious and had lots of flavors to offer. Then Spaghetti with corn cheese balls arrived, this was the best pasta of the evening. It was a white sauce based pasta containing spaghetti and topped with some cheese balls. The beautiful combination of crunchy corn balls, with the soft spaghetti immersed in white sauce transported me to another world. Later the Tetrazzini arrived. This was another dish that was subtle and yet very tasteful and distinctive. Then Penne Sausage Alfredo (Pasta) arrived. The portion of sausage was very generous. Overall this red sauce pasta was delectable. Finally the Cheesy chicken pasta came. This pasta rich in white sauce had a distinctive flavor and stood out among the rest. Soon after Chicken Pasta Salad, Mushroom on Toast, Paneer on Toast, Meat Lovers Delight Sandwich, Grilled BBQ Chicken Sandwich arrived. Though the Chicken Pasta Salad had good portions of chicken and veggies, it had mustard which I’m not too fond of. Thus I’m didn’t love it, but my fellow foodies found it to palatable. Mushroom on Toast consisted on two pieces of toasted bread cut into two pieces each and garnished with mushroom cooked in sauces. This dish was good and came with healthy portions of mushroom. The sauce was slightly spicy. Paneer on Toast had the same concept as the Mushroom on Toast and came with cooked panner as garnish. It had generous helping of paneer (Cottage Cheese), but tasted mediocre. Cottage Cheese Indiana Sandwich mainly consisted of small chunks of cottage cheese cooked in sauces and veggies. This Cottage Cheese sandwich is a must try for all paneer lovers. The Cottage Cheese was soft and fresh. The sauces were delicious and it came with a good portion of french fries. Meat Lovers Delight Sandwich was stupendous and contained egg, veggies and chicken. It was filling, delicious and fresh. It came with a good portion of french fries. Finally the Grilled BBQ Chicken Sandwich arrived. It was tangy but had generous helping of grilled chicken. This dish also arrived with a bowl of French fries. All the sandwiches consisted on only large bread sandwich, cut into two parts. All of them were very filling.